Sew what's cooking with Joan! : Champagne Cupcakes! I love everything about these cupcakes, they're beautiful, they sparkle and they’re delicious. They’re cake. And they’re made with champagne. And, everyone that knows me.....knows I like champagne. In particular....Veuve Clicquot! 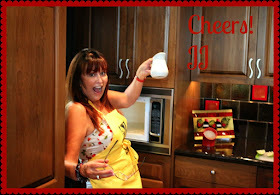 Did I use Veuve in these delicious cupcakes.............of course! And to say I had some left over, well, that would be a lie! I opened a bottle of Veuve, used 1/2 of a cup in the cupcakes, and proceeded to drink the rest while baking these delicious melt in your mouth cupcakes!! Mmmmm were they good!! Pre heat the oven to 350 F. Prepare pan by putting the cupcake liners in, I used gold. Using your electric mixer, cream the butter and sugar together, then add the eggs, one at a time, mixing after each addition, add vanilla. In a medium bowl, sift together the flour, baking soda, baking powder and salt. In a small bowl, mix the Creme Fraiche with the champagne. Home made Creme Fraiche can be made by combining 1 cup heavy cream with 2 tablespoons of buttermilk. Put in a glass jar and shake well, cover loosely and leave at room temperature for 12-24 hours until very thick. Then you can refrigerate for up to 2 weeks. 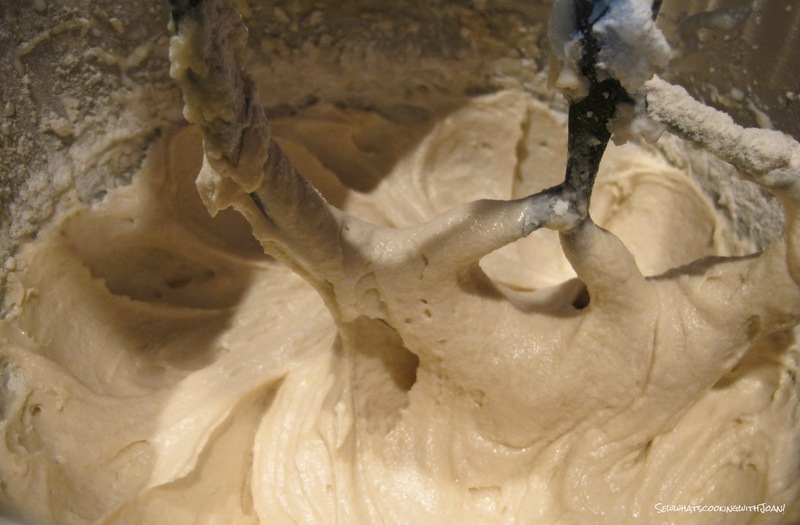 Add flour and champagne mixtures, alternating in large bowl. Fill each cupcake liner about half full, approximately 1/4 cup. Bake about 20 minutes, check by inserting toothpick, it should come out clean. Beat the sugar and butter together on medium speed for about 2 minutes, until light. Add vanilla and champagne, beat for another minute. Pipe onto the cooled cupcakes. 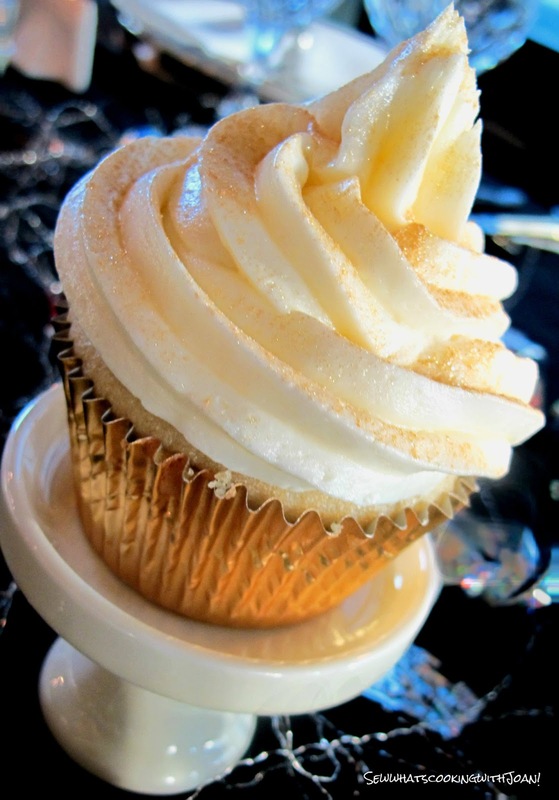 ~These cupcakes came out light and airy, with a creamy Champagne Buttercream to top them off. I served to my family for a special occasion and they loved them. 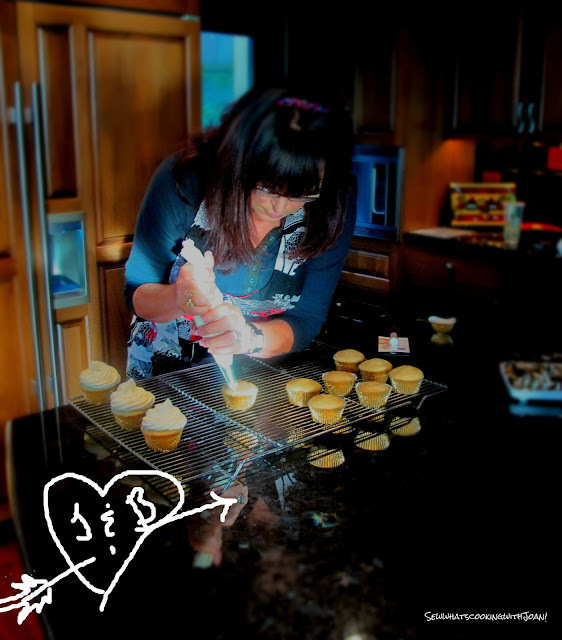 I sifted 23 carat gold dust on my cupcakes, however you can use pastel dragees, little red or pink hearts or anything that would complement your theme. You can also tint the cake batter or the buttercream, for a shower, "gender release party" or girls night out! 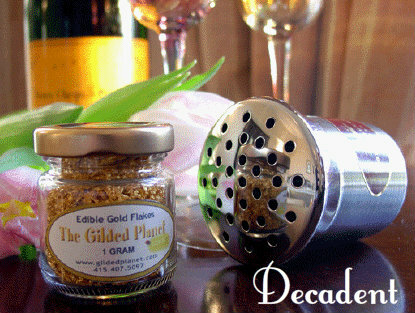 Love champagne and cupcakes? 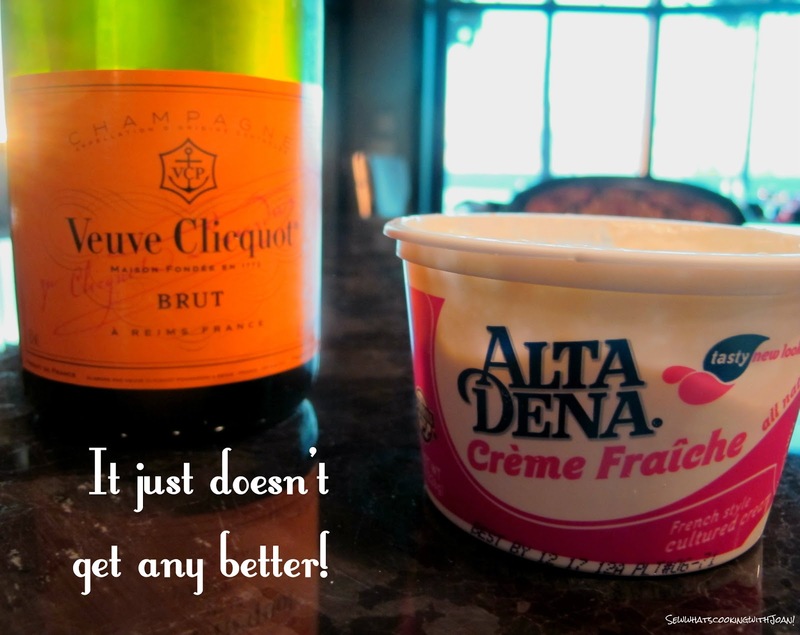 Why not pair them in an entirely new way by adding champagne to your cupcake batter! These sweet, bubbly and incredibly moist cupcakes make perfect special occasion desserts as well as the perfect brunch treat! 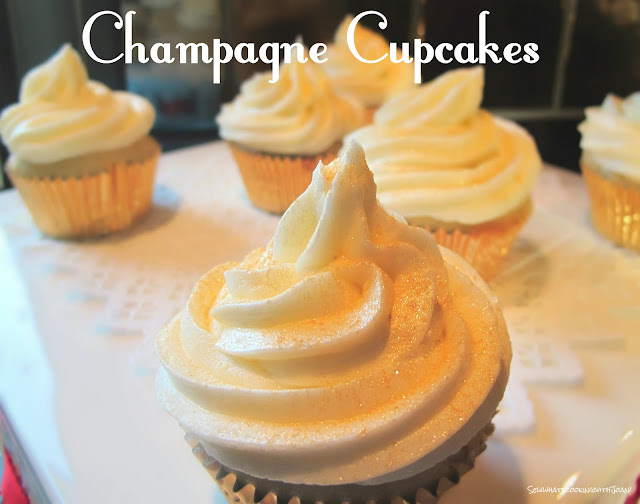 The dryness of the champagne complements the sweetness of buttercream perfectly so each bite is sweet and bubbly with a fabulous hint of champagne flavor. It’s time to celebrate your sparkly inner girly girl, have a cupcake and a glass of champagne with your girl friends or your "Hunny"! Perfect for Valentines! 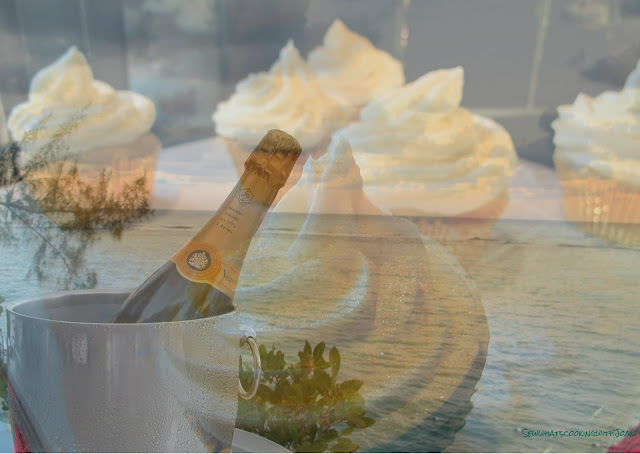 Veuve Clicquot, the Caribbean and Champagne cupcakes.....love this life! Love this post! The addition of the creme fraiche was a surprise and something I will have to incorporate into a batch of cupcakes! The last picture with the veuve, the ocean and the cupcakes is awesome! Thanks Amy!I used two pictures and overlaid. I know you recognize the ocean shot off our deck here in Ocho Rio's, I staged the bottle of Veave on the wall surround. These were delicious, and I am wishing I had one right now!! Cheers!